Teens from Macon County Library worked, had a lot of fun, and won! 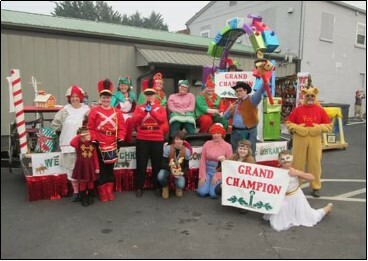 The theme for this year’s parade was Santa’s Workshop/Toyland. Guided by library staff member Ellen Agee, the teens created a life size jack-in-the-box and a rolling wooden horse. Colorful costumes completed the festive holiday float.